It is an honor and privilege to have been able to interview her. 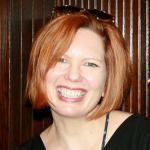 Persephone Magazine, please welcome Deborah Feldman. 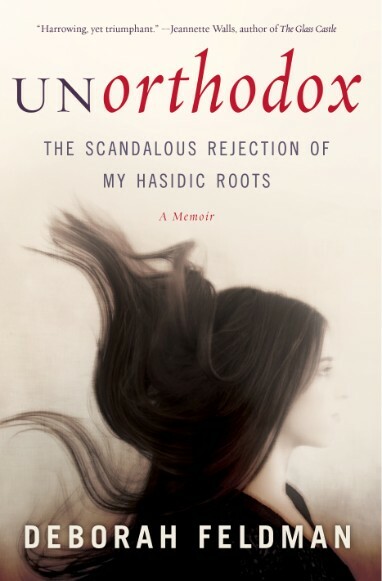 Persephone Magazine: Your book Unorthodox is your story of growing up in the ultra-conservative Hasidic Satmar community based in the Williamsburg neighborhood of Brooklyn. Can you talk about what brought you to write this book, as well as to talk about your experiences in the Satmar community? 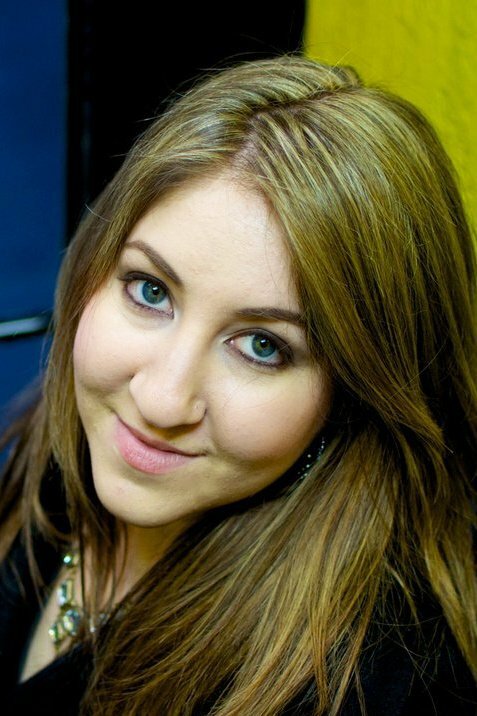 Deborah Feldman: When I decided to leave the Hasidic world, I was scared of losing my son. I decided to write the book partly for the publicity it would bring me; being in the public eye protects me from the vindictive actions of my community. But I also wanted to show other women who felt trapped that they could free themselves. PM: You describe yourself in the book as “always knowing something else was out there,” often smuggling in English books to school or reading the Hebrew text of the Talmud. Can you describe what it was that kept you thinking; I should be doing this; I should know these things? DF: Can one really explain what causes innate curiosity in a child? Is it personality? Is it genetics? I remember being told that women were forbidden to learn Torah (Old Testament) because the Talmud said that, as a gender, we asked too many questions, and weren’t capable of blind faith. I certainly felt like a girl who asked too many questions, and I remember thinking that most of the answers I got were unsatisfactory. PM: One of the topics you broach is the way that Hasidism is often oppressive to women, especially as rules from clothes to when women can be out have become much more restrictive in the past few years. Can you talk about your own experience with this? Do you think there is a possibility that these codes will change or that there is room for more women-friendly roles in the community? Or do you think those roles exist now? DF: I remember seeing pictures of my aunts as children and noticing that their skirts had been shorter than the ones I wore in my childhood. I asked my grandmother about this and she explained to me that in those days the rules hadn’t been so strict. Certainly as I got older the rules became more and more extreme, the skirt lengths got longer, the collars got higher, and as the outside world progressed and inevitably began to make an impact on our own little world, community leaders invented more restrictions in response. When I was a teenager in high school, I was told never to laugh or speak loudly on the street, to step aside for men, and to avoid being seen outside after 7 p.m.
PM: One of the major things you talk about in the book is the idea of safety and faith. The Hasidic reliance of faith is said to ensure your protection and that whatever happened was God’s will, whether if it was something as simple as a seatbelt or as traumatic as being sexually assaulted by your cousin. Can you talk about how this belief affected your own experiences? DF: I will say that I believe this attitude manifested itself differently for each Hasidic family, but in my family it was evidenced by general lack of care and attention paid to physical and mental illness, and an unwillingness to address any problems. Instead, we prayed to God for forgiveness and mercy, but believed that everything happened according to his divine and almighty plan, and should not be challenged. So even though I had congenital hypothyroidism, I went for years without medication, and still suffer from the consequences. Later, when I was unable to consummate my marriage because of a condition called vaginismus, I was blamed for the problem and told it was a punishment from God. PM: One of the things I want to ask is how or if you see the bridging of modernity or even equality with Hasidism. Do you think there is a possibility to retain this sect of religion the way it is or do you think that it’s a form of extremism, or do you think that it’s just somewhere in the middle? DF: It is without question a form of extremism, but all extremism can be modified, with the right amount of pressure from within and without the community. I think it is possible to maintain the richness and beauty of Hasidic tradition (such as holidays, ceremonies, and social rituals) while allowing gender equality, access to education, and legal advocacy. PM: Can you talk about the time when you finally decided to leave? DF: At Sarah Lawrence College, I met a lot of women who were living happy, fulfilling lives in the outside world, and they weren’t being struck by lightning. It seemed odd to me that God wasn’t punishing all these people, so I started to realize that the belief system I had been raised with might be a sham. I spent a lot of time writing in those days; for me writing was a way of forging a pathway out into the real world, it was a way for me to process, analyze and connect to ideas and people. Eventually I garnered enough support and confidence to just make that break! PM: How have your own personal relationships changed since you left? Have you wrestled with your faith in any way or have your concerns been more with community? DF: I definitely have an introverted personality and I don’t enjoy being sociable all the time, especially in large groups or crowds. So I’ve learned to pick and choose my friends carefully, and the people in my life now are ones I trust absolutely. But winning that trust is difficult; my upbringing taught me to see all people as actors, and I still have a hard time believing that people’s motives for befriending me are genuine. However, every kind and authentic person that enters my life brings me one step closer to a more positive social attitude. As for faith, I never had time to worry about that until I was out. I left because I felt unhappy and trapped; so it wasn’t necessarily an intellectual rationalization on my part. All that came later. For now, I am relishing my ability to think critically and explore the issue of faith vs science; I’m sure someday soon I will be able to take a more official position on all of this but for right now I’m just trying to build my life, and my son’s life. PM: How has the reaction to your book been, from both people in the community and people outside it? DF: I have to say the reaction from people outside the community has been incredibly positive, which is so surprising to me, because I certainly never expected the outpouring of support I am now receiving. As for people living in the community, the response from them has been mixed. There’s a lot of vitriolic attacks on websites established solely for the goal of attacking me, there’s been some ugly hate mail, and even an article published by a Jewish periodical comparing me to Joseph Goebbels and accusing me of starting another holocaust – however, I can’t even begin to tell you how many emails I receive from men and women stuck inside the community who confess to me how trapped they feel and how glad they are that I am speaking out on their behalf. So that REALLY makes all of this worth it, because I do want to stand up for those people, for the ones whose voices have been stifled. PM: Do you think Hasidism is misperceived in anyway? Do you think there is anything the community can gain from your book? DF: I really did try to portray my community as honestly as I could, but after all, a memoir is one person’s perspective. I’m no academic, at least not yet, I’m just here to tell MY story. Certainly I think this book can open doors to the community, and I think it will lead others to stand up and speak about their own suffering. I think that if all those Hasidic leaders that send me hate mail would stop for a moment and just read the book, and think about the issues it brings up, they could actually address problems within the Hasidic culture and prevent more people from becoming victims of abuse and corruption. Instead, their attitude is to deny or ignore, and that’s just plain irresponsible and offensive to their own community. PM: What are you hoping people will walk away from the book with? DF: I hope people will be more sympathetic to the Hasids they meet now, and less judgmental. It’s a difficult life to leave, and not every man or woman with the scary costume is really that different from you on the inside. We were all born into this life; we didn’t choose it. If we raise enough awareness about oppression and inequality in the Hasidic culture, I believe we can encourage reform and progress to take place from within. So spread the word! Reach out to your Hasidic neighbors! We need to build bridges and help those who want to leave feel safer and more comfortable stepping into the outside world. PM: What amazing work can we look forward from you in the future? DF: A lot of people have been emailing me saying they read the book but they have so many questions! They want to know how I got divorced, how I got custody. What happened next, they ask? The book does end on the day I leave, and obviously that’s kind of a cliffhanger. So right now I’m working on Part Two, a follow up memoir that will explore the joys and challenges of transitioning from a fundamentalist society into the real world. I save everyone’s questions so I can address the answers in the next book. I’m really excited to show people that it’s possible; I want to show them all the details of the process. 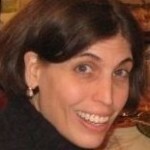 You can find out more on Deborah Feldman at her site, DeborahFeldman.com, as well where you can buy her book, Unorthodox: The Scandalous Rejection of My Hasidic Roots. Thanks for this one, Coco. Â Growing up in a closed community is one thing, doing so in NYC has to be another thing entirely. Fascinating stuff. Thanks for a great and eye-opening interview. I am ignorant about Hasidism, and this is fascinating. Ms. Feldman is a courageous woman.